Make your next adventure even more epic with the clear sound and powerful bass of the UE BOOM 2 Bluetooth speaker. From your own backyard to hiking trails, bike paths and pool parties, the waterproof and dirtproof UE BOOM 2 can blast your favorite playlists wherever you are. Plus, you can pair two speakers together for full stereo sound that will keep you moving. Connect wirelessly from up to 100' away: Pair this speaker with virtually any Bluetooth-enabled device, including phones, tablets and laptops. Add up to 2 sources at once, so you and a friend can each contribute a playlist. Rich sound you can carry in the palm of your hand: Perfect for hotel rooms, backyard barbecues, or moving from room to room, this portable device can slip into your bag to bring your music, movies and games to life on the go. Listen for up to 15 hours with the rechargeable battery: Use the micro USB charger to bring the speaker back to life quickly. Enjoy 360 degree sound: Blast your playlist with the intensity of dual passive radiators and dual performance drivers for strong highs, bright mids and deep bass. 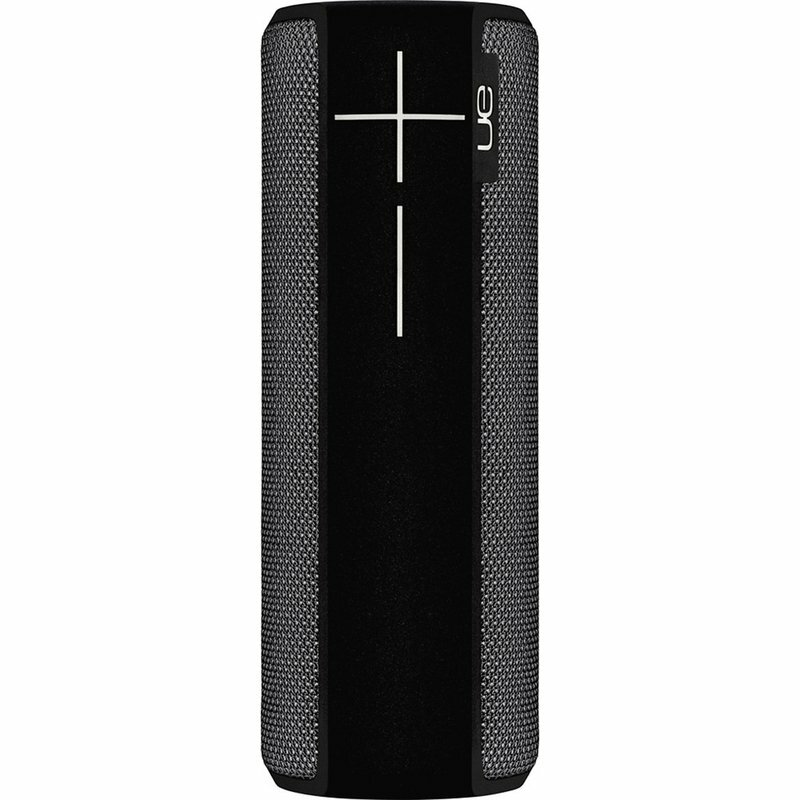 Stream up to 2 speakers for fuller sound: Sync your UE BOOM 2s to play the same music, or tap them together to create left and right outputs for stereo sound. (Free app required). Fresh, durable design: Take this waterproof, dirt-proof and shockproof speaker everywhere, from a party to the pool to your favorite campsite. Download the free UE BOOM 2 app for iOS and Android devices: Use the app to turn your speaker on remotely, get cool speaker updates and access an expanding set of features like Double Up and Alarm. Built-in microphone and call answer button: Never let your music drown out your phone again. Speakerphone capability lets you make or take calls right from the speaker.